What Is Video On Demand (VOD) ? Netflix is known for a streaming service provider, which can offer a large library with diversified content for subscribers and users on different platforms. The Netflix content is available to stream on mobiles, computers and different television devices. Netflix started streaming services in 2007, and it has been served 190 countries worldwide. Netflix is started in the year 1997. It started distribution of the content digitally since 1999. Netflix IPO year is 2002. According to 2015 statistics, it was revealed that Netflix consists of more than 60 million subscribers in 2015. More than 42 million subscribers are noticed from US itself. 11 billion hours time was spending on the Netflix every month. More than 60 percent users are watching shows on Netflix every week. Users between the age of 18-34 years are watching Netflix via mobile devices. More than 45 percent households subscribed to Netflix in US. More than 30 percent household in the US had subscribed to Netflix comparing to Amazon, only 10 percent users are subscribers. More than 27m Americans using the Netflix app. According to 2015 reports, it was revealed that more than 27 percent school graduates were watching Netflix number of times in a day. More than 89 percent of users on Netflix were engaged with the original content. About 50 percent millennials are using the Netflix in US. More than 37 percent US gen X are using the Netflix. 25 percent baby boomers were also watching the Netflix. Best ISPs connectivity to Netflix was in Netherlands. Netflix was using more than 100 to 149 terabytes space per server. People from more than 45 countries were subscribed with Netflix. Previously so many streaming services available for movies and all stuff. But now Netflix has become trending and gives High resolution quality streaming for Televisions. 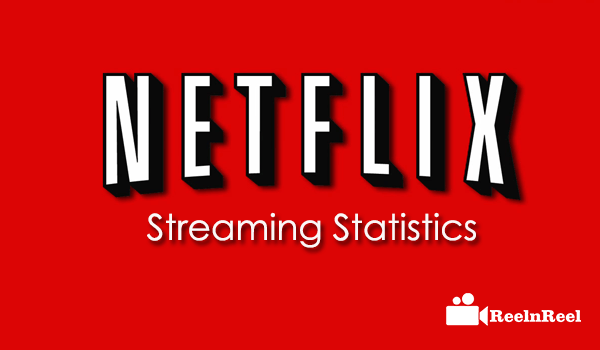 In this article we have shortlisted the top 20 streaming statistics about Netflix.